Lisa Johnson brings her daughters, Gracie Mojica, 4 and Karliegh Burr, 3 to Becky Puhl, owner of Swim with Becky and Friends so her girls could survive if they fell in a pool – a tragedy Johnson knows all too well. Both fell in the family pool. Sadly, Johnson’s son died. Her daughter remains in a vegetative state. “It was 10 days before their second birthday,” said Johnson. Puhl teaches very young children how to survive in the water. The National Drowning Prevention Alliance connected Johnson with Puhl. Johnson’s daughters had swim lessons before, but survival lessons are different. Asher is happy to get in the water, roll over on his back and float. Paramedic Josh Seivert’s 14-month-old daughter, Charlie Lynn Sievert now knows the floating technique. Tianna Ibrahim, 17 months, swims to the pool steps, gains footing and stands up. Puhl said each student is worked with according to their abilities. Lessons are always one-on-one, lasting about 10 minutes. Kathy and Bassil Ibrahim, Tianna’s parents, are having a pool installed. “I recommend parents get their kids in (the water) even if they don’t have a pool,” said Kathy Ibrahim. “The majority of drownings in Volusia County don’t happen at Daytona Beach. It’s kids under 3, and a lot of programs don’t address children until 3 or over,” said Puhl. An avid swimmer since childhood, Puhl became a swim instructor in 1998. She has taught babies, children with disabilities and adults. Puhl’s business is successful, an accomplishment she measures by thank-yous from parents whose children have escaped tragedy. But that’s not the end of the story for Puhl. 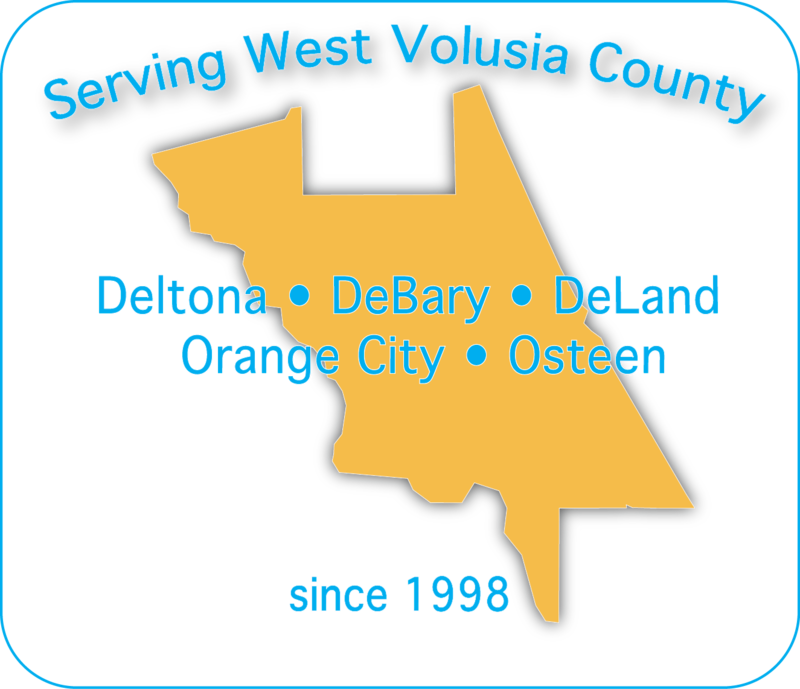 Puhl and her business partner, Bo Peary are starting a non-profit, Making Changes 4 Drowning Prevention, hoping to raise enough money to open a year-round water survival facility in West Volusia. For information contact Becky Puhl at 386-490-2190 or visit swimwithbecky.com. “I never thought that my children…not on my watch. It happens,” said Johnson.